When severe haemorrhage control is required, having a kit with the necessary equipment in is vital. Keeping bleed control kits simple and easy to use is crucial to the success of first responders. STEIN consulted the industry and designed ease-of-use into all of our Bleed Control Kits. 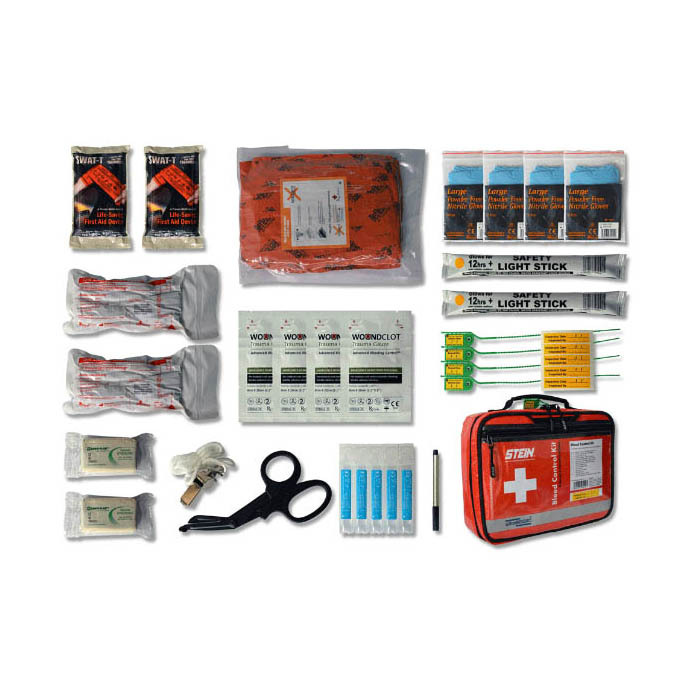 This kit is supplied in a strong, lightweight bag manufactured from high-tech materials. STEIN Bleed Control Kits do not replace the mandatory Workplace First Aid Kits complying with BS 8599-1: 2011.